Come Holy Spirit: Not just at Pentecost! Come Holy Spirit! While Pentecost has come and gone we certainly should not lose the point of this feast day: reflecting on the importance of the third person of the Holy Trinity in our lives. 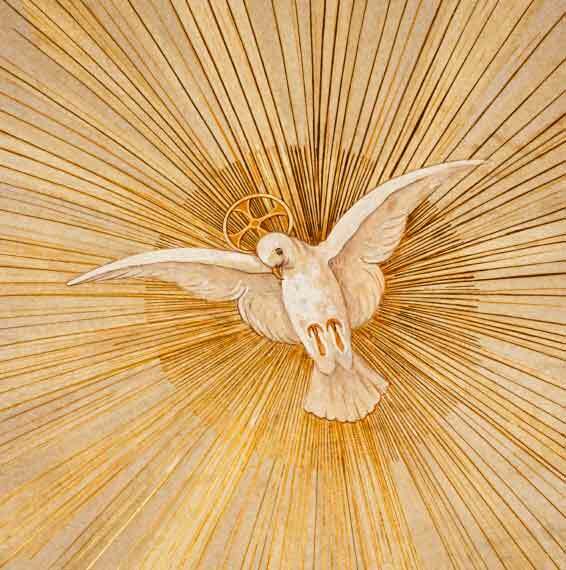 As the Holy Spirit, often symbolized as a dove, proceeds in love from the Father and the Son, He seeks to share that love with us so that we may share it with others and glorify God, who is Love, as St. John the Evangelist tells us (1 John 4:8). 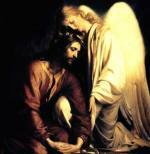 I would like here to refer you to our pages of prayers to the Holy Spirit for some wonderful time-honored prayers as well as some background information. 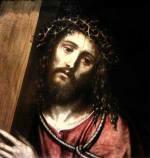 When our Lord gave his farewell remarks to his apostles at the Last Supper soon before His Passion, he impressed upon them that he would not leave them as orphans (John 14:15-18). He would send the Holy Spirit to be a Paraclete, an advocate for them. But equally, if not more importantly, the Spirit would remind them of all he had taught them (John 14:26). Indeed, Our Lord told the Apostles and Disciples right before His Ascension that the Holy Spirit would baptize them (Acts 1:5)! Ten days later the Holy Spirit, in the form of wind and tongues of fire, descended upon the Apostles and disciples at Pentecost (Acts 2:2-3) and enabled them to proclaim the Gospel with a new sense of vigor and purpose. 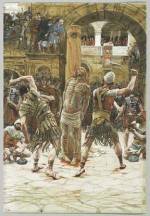 But He didn’t stop there, as we read in the Book of Acts! He was quite active in the early days of the church. For some examples we see the Holy Spirit advising St. Peter (Acts 10:19 and 11:12), St. Philip (Acts 8:29) and of course St. Paul, in his role as Apostle to the Gentiles (Acts 20:22-23). In our own lives, the Holy Spirit seeks to give us comfort in our struggles, strength in our weakness, and wisdom as to how best to serve God and others, among other things! And yet….how do we discern what is of the Spirit? How do we know what He is really saying to us. Are we listening to what he's telling us, or rather, what we'd like to think He's telling us? In the scriptural examples mentioned above, the Spirit might well have spoken to the apostles through visions or what we call locutions, (this is my guess here, admittedly). According to Catholic Answers, as defined here,"A locution is a form of private revelation, similar to an apparition, but rather than being seen a locution is heard or received internally." This is precisely why going to confession when we’ve committed mortal sins committed is so important. There’s no room for God in a soul in a state of mortal sin! Thus the Holy Spirit will never suggest that it’s OK to cheat on your spouse or your taxes; or engage in bribery or slander; or bear a grudge because after all everybody’s doing it so it must be OK. He will never suggest you are what you own, that "he [or she] who dies with the most toys wins"! He will always point you in a more loving, thoughtful, holy direction. After all, we are all meant to be God’s adopted sons and daughters (Rom 8:15) as citizens in training for Eternal Life! How else are we to know when it's the Spirit is speaking to us? Through an informed conscience! I’d like to suggest some books below that can help. Reading Scripture on a regular basis is important, for sure. You don’t need to memorize it all, of course, but the more you know the better you can discern what comes from the Spirit and what comes from some more erroneous notions or desires. While we may not have the benefit of supernatural communication that the apostles and disciples had that first Pentecost, we nonetheless do indeed have the gift of supernatural faith from God. May the Spirit move you to "go forth, glorifying the Lord by your life"! WANT TO KNOW MORE? HERE ARE SOME SUGGESTED READINGS! The Catechism of the Catholic Church is available online in this traditional version and this mobile-friendly one as well. The Baltimore Catechism predates the current Catechism, which was first published in 1992. It is somewhat simpler in form but also quite good and was used extensively in schools from 1885 until the 1960's. Amazon's Catechism page, with various editions of the current Catechism. The Compendium to the Catechism of the Catholic Church, a simplified but still quite useful summary of the current Catechism. 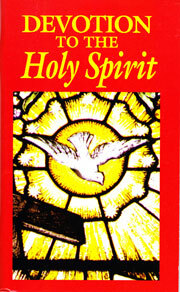 The Holy Ghost, Our Greatest Friend: He Who Loves Us Best by Paul O'Sullivan, O.P.